The Chinese tech giant Huawei is quite popular all over the world in terms of smartphone manufacturing and technology. Recently, Huawei’s subsidiary brand Honor has launched Honor 20i smartphone in China. Honor 20i comes with a Kirin 710 SoC, triple rear cameras, a single 32MP selfie camera, and a decent 3,400 mAh battery. This is a budget-segment all-rounder Android smartphone from Huawei Honor. The phone will be available in black, gradient red, and gradient blue color options and it runs on Android 9 Pie out-of-the-box. There are storage and RAM variants in this model up to a 128GB storage option. The handset is running on EMUI custom skin which is more refined and customized for better user experience. The device currently available in China and there is no confirmation about the availability in other countries like India. We need to wait for weeks more to get any report about it. 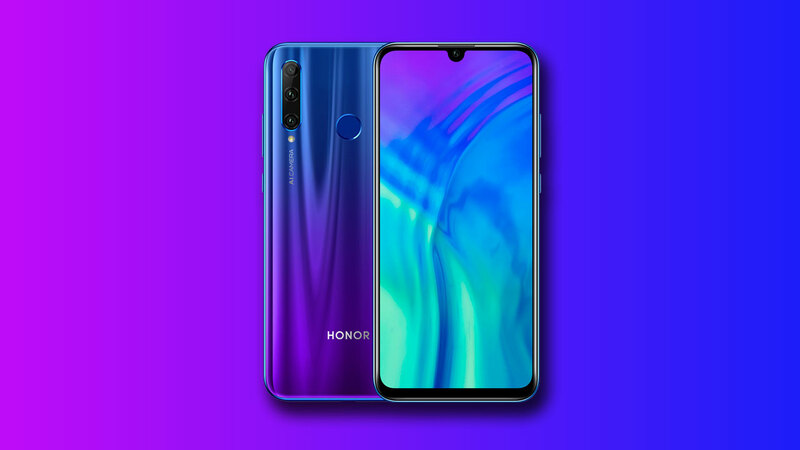 Honor 20i features a 6.21-inch Full HD+ display with a resolution of 1080 × 2340 pixels. It’s powered by an octa-core Kirin 710 SoC coupled with a 4GB of RAM and 64GB/128GB of internal storage. The storage can be expandable up to 512GB via a MicroSD card and features Mali G51MP4 GPU. The battery is 3,400 mAh and includes connectivity options like a micro USB port, a 3.5mm audio jack, Wi-Fi 802.11 a/b/g/n/ac, GPS, Bluetooth 4.2, fingerprint sensor, etc. The device runs on EMUI 9 based on Android 9.0 Pie OS. The Honor 20i sports triple rear cameras of the 24MP primary sensor (f/1.8), secondary 8MP sensor (f/2.4), and a 2MP sensor (f/2.4) along with a LED flash. On the front side, the selfie camera is equipped with a 32MP sensor with f/2.0 aperture lens. The phone weighs around 164 grams and measures 154.8 x 73.64 x 7.95 mm. The handset comes with a 6GB RAM + 64GB storage option at a price of 1599 yuan (Rs.16,600 approx) and the 6GB RAM + 64GB storage model will also cost the same price. Where the 6GB + 128GB model will cost 1,899 yuan (Rs.19,700 approx) and 6GB + 256GB variant will be priced at 2,199 yuan (Rs.22,800 approx). The pre-orders are listed in China via V-mall, JD.com, and T-mall sites online. The pre-sale in China begins from April 18.